Love books? Love stickers? Love my reviews? Love my podcast? Support each episode of Lost the Plot and get exclusive content and early access at Patreon! Follow the Tinted Edges facebook page and the Lost the Plot SoundCloud page. Subscribe to Lost the Plot on iTunes and leave a review. 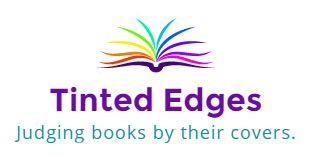 Show your support with the official Tinted Edges sticker! Carry your own books in the official Tinted Edges tote bag!